Every organization comes with its own set of challenges. This is true in both the church and corporate world. While the challenges may differ, there are some common denominators that land on both sides, and one of those is management. Managing is asking the question, "How are we doing?" And if you ever stop asking, you'll soon learn how important that question is. 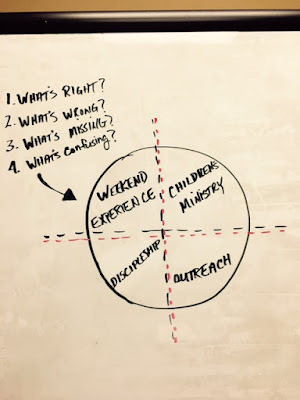 For pastors, management can be challenging because ministry has many moving parts. Hospitality, teaching, youth ministry, kid's ministry, budgets and small groups are just a few. While each part is important to the mission, it's impossible for a pastor to keep a finger in everything; and when pastors attempt to, they move into micromanagement and quickly find themselves (and their teams) frazzled.